Mensusa https://www.mensusa.com/articles/top-3-points-before-picking-the-red-dress-shirt.html Top 3 Points That You Need Considering Before Picking The Red Dress Shirt The red dress shirt is a delightful choice of apparel to serve your dressing needs at the promenade occasions. The power-packed appearance of these shirts upholds your fashion pursuits and styling acumen. Having a red dress shirt in your wardrobe, you are having the best apparels for the special events and the glamorous promenade occasions. 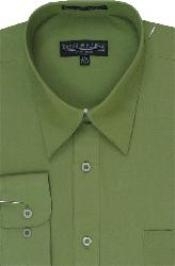 Shirting plays a critical role in the aspect of selecting the dresses. The red shirts will enable you to get a powerful and impacting appearance that comes the most relevant as the outfit for ant gorgeous events. However, you need to be cautious while picking the shirts as a slight mismatch of the shirting with your personality, physical features as well as with the party spirit will ruin the entire show. This article will guide you on the major areas of consideration. It is a general guideline about selecting an apparel that you need to consider the suitability of its shade on your skin tone. In instances that you are willing to pick the red dress shirt, you need to be more attentive on this aspect. The red shade has an immaculate power to glorify your look. However, if it is not matching your skin tone, it will certainly emerge as the strongest peril. It will be wise to choose the lighter shades of red if you have a darker skin tone. Consider whether if the shade is complementing the spirit of the occasion that you will attend Just as you consider the suitability of the shade on your skin tone, it is important to consider whether if the red color will comply with the spirit of the events. Better to say, the red shade matches the spirit of the majority of the prom and special events. However, it will be better to tone-down the brightness of the red shade if the event is hosted during the daytime. The red dress shirt is a just a part of your total apparel and you will obviously pair the fashion adornments. You need to ensure that the shades you choose for your jacket, trousers as well as the adornment matches with the red shade of the shirt. Black will be the most appropriate color that you can choose for the trousers and the adornments like the shoes and belts. It will be wise to pair a light shaded jacket with the red dress shirt, that will further accentuate the show. www.mensusa.com supports the fashion pursuits of men by offering the best grades of attires and accessories at the most inexpensive prices. The store deals with the premium graded apparels and accessories and keeps on offering various special deals and offers that significantly benefits the buyers. The extent of customer-orientation that the store adopt, will be hard to find with the other retailers.